Manufacturer of a wide range of products which include hdpe / pp hcl transport tank, chemical transport tank, hdpe transportation tanker and acid transport tank. 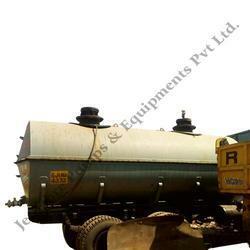 We are engaged to providing the best range of HCL Transport Tank. 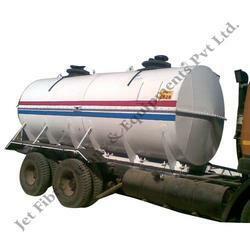 These HCL Transport Tank are designed using high quality raw material. 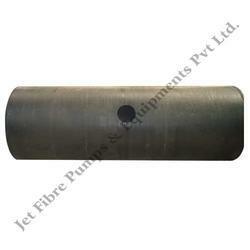 These are available in oval & round shapes and are widely used in Petroleum and Transportation Industries. We are engaged in manufacturing a comprehensive range of Chemical Transport Tank. Our range can be customized in terms of size as per the requirement of our clients. HDPE Transportation Tanker are designed to transport acids like HCL, H2SO4, Nitric Acid, Caustic lye, Solvents, all other types of chemicals, waste water and mixtures. Our Tanks are tailor-made to fit into many operations. These Tankers have an inside tank of HDPE Spiral Pipe and it is covered by the MS structure to be fitted on the trucks. Different materials can be filled. We present our clients with a qualitative range of Acid Transport Tank. These Chemical Transport Tankers are designed using quality materials and are ideal for transporting different acids such as HCL, H2SO4, Nitric Acid, Caustic lye, Solvents, all other types of chemicals, waste water and mixtures. Our range is custom-manufactured to meet the clients’ requirements and comprises an inside tank that is fabricated from HDPE Spiral Pipe. These are also covered with MS structure to be fitted on the trucks. 100% Corrosion and maintenance free. Looking for HDPE Transporation Tanker ?